Across America, communities everywhere are facing the growing epidemic of opioid addiction. Local health departments have risen to the challenge through local initiatives to raise awareness and save lives. Statistics show that males, ages 19-29 years old, are the leading demographic struggling with this addiction. Misuse of prescription drugs can be prevented through proper disposal of leftover medications from and securely storing medications that are still being used. Medications that are expired, unwanted or unused should be removed from your home and disposed of quickly to reduce the possibility that others access, and misuse medications not prescribed to them. 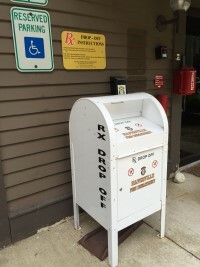 Learn more about drug take-back locations by contacting your local town administrative office or local police/fire departments on where you can safely dispose of medications. The use of drugs at an early age increases the risk of developing an addiction and substance use disorder. A person’s brain is still developing until approximately age 25, which is why substance use can have life-long effects on brain development and ability to become a productive and successful adult. Preventing substance use through evidence-based education and policies can save people from a lifetime of substance use disorder. Programs and policies that focus on prevention are very cost effective – implementing evidence-based interventions can have a benefit of more than $58 for every dollar spent, according to a 2016 report from the U.S. Surgeon General. When individuals who have a substance use disorder are faced with discrimination and prejudice due to a lack of understanding about the disease, the stigma may keep them from seeking help and moving towards recovery. Learn how language can reduce stigma. Find a local countywide coalition that brings together partners working to reduce youth substance use. Become knowledgeable in your local community’s response to this epidemic. View local and other resources available for classroom education, including life skills, social and emotional learning, and substance use prevention. 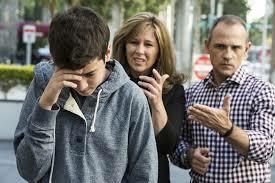 Parents have a strong influence on a young person’s decision to avoid substance use and play an important role in prevention. View various resources to recognize and prevent substance use at https://hopedupage.org or check with your local substance abuse prevention organizations. How A Small Bracelet Gave Me BIG Self Care Results In The ER!